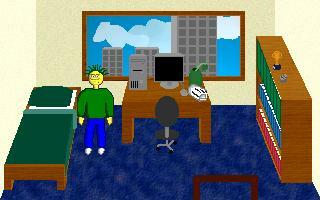 This was one of the first games I worked on, but never completed. Recently I decided to post it, so I smoothed the edges and fixed it up. It's a game where you control a smiley in his quest to clear his name from murder, obtain the mystical Cookie key, and save the world! "Very rough around the edges, but Smiley's Quest has a strange charm and some funny moments."